Here comes another in the ZTE’s gaming smartphone campaign and it comes stacked to the brim with features to ensure there’s maximum performance. 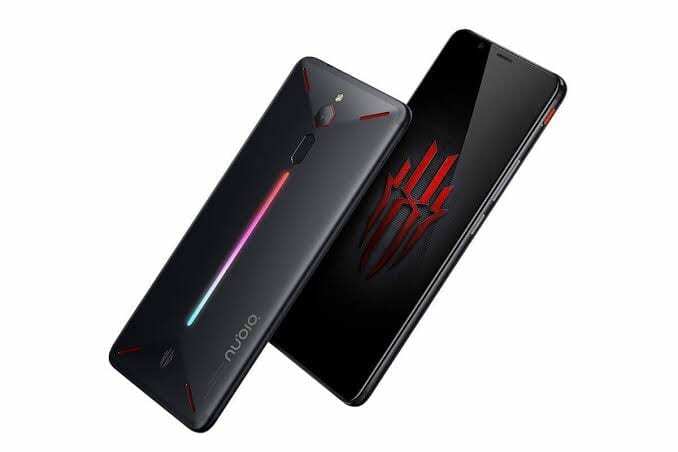 The next in line, the ZTE Nubia Red Magic Mars has about the same spec sheet as the ZTE Nubia Red Magic except for the insane 10GB variant. It also comes with the cool features like the heat dissipating implementations to remove the hot phone scenario during gaming. Innards are top-notch which ensures that even the most heavy graphics games runs well. At the end of the day it does fulfil all the criteria a gaming smartphone should have. As it is before on its predecessor, the smartphone is unlike any other you’re conversant with, having envelope jacket design on the back. You’ve also got a multicoloured slender LED bar along the middle and a stretched hexagonal fingerprint scanner on top. While a similarly shaped camera is right after, as well as a dual LED flash at the apex. The other camouflage version as an X design on the rear but basically the same arrangement. A cooling system called ‘ICE’ is designed by ZTE and it uses a convection cooling as well as a dual pipe heat reduction technique. In landscape mode, there is a shoulder pad on top at each side of the phone that are capacitive. Another feature is the ‘4D shock’ haptic feedback that makes the smartphone more engaging. You will also find a DTS 7.1 audio with stereo speakers on the phone for improved sound quality. The display here is the same as in the ZTE Nubia Red Magic from before and it does cut it in gaming for it to be featured again. Not only the resolution but also the size of the display remains the same at 6.0-inch and 1080 x 2169 pixels. You would also get something called Dinorex T2X-1 glass laid over the screen offering protection against scratch and shock. 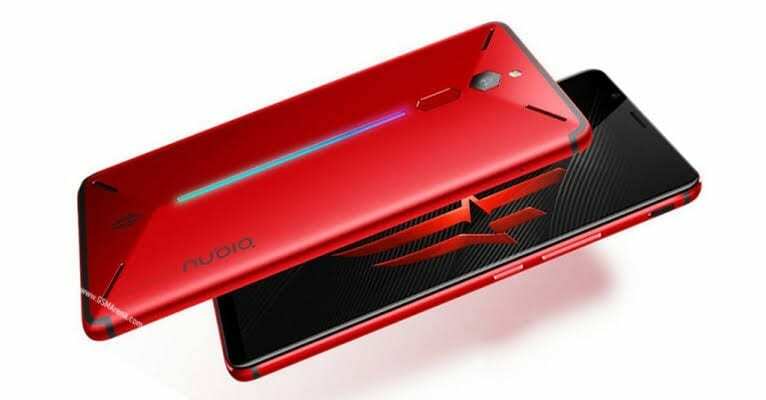 As far as an upgrade is considered, the ZTE Nubia Red Magic Mar does not have one in the battery capacity. Considering there is the same 3, 800mAh battery as before, you should expect quite the same usage time. Nonetheless, this should serve you very much for the day with gaming on average. The USB Type-C does offer a fair share of 5V/3A 16W fast charging and since its the only connecting terminal audio play is also supported too through the audio jack dongle. The smartphone is not focused on camera which makes sense that the pixel count on the camera from before has even reduced. What you do have now is a 16MP rear camera and an 8MP camera on the selfie end. You could still get a lot from the camera on board even social media worthy pictures is not beyond the cameras here. You should expect much of the same features from the gaming smartphone with the Qualcomm Snapdragon 845 in play and the Adreno 630 GPU warring graphics. You’ve got three packages with the smartphone and that includes a 6GB RAM with 64GB storage space. Another one with 8GB RAM and a 128GB internal storage lined up with it. Keep in mind that MicroSD card is not supported so no expansion which brings us to the most premium 10GB RAM and 256GB storage model. They will all be booting the latest, Android 9.0 Pie directly not by OTA update but from the box. The smartphone is not on sale yet but we be first released in China for CNY 2, 700 (~143, 000 Naira) for the 6GB/64GB model. The 8GB/128GB variant for CNY 3, 200 (~170, 009 Naira) and the most premium for CNY 4,000 (~212, 000 Naira).